The 7th/8th grade activities are designed to build a strong social community amongst the students of Riverdale. Riverdale 7th/8th graders will have the opportunity to partake in the following appropriately designed and parent driven events: Friday-night dancing school, Winter Formal dinner/dance, and year-end Promotion activities for 8th graders. In addition, the leadership class organizes the Fall dance and the Field Day dance. A fundraiser usually occurs to help raise money for a gift to the school from the 8th grade class. To participate in these activities, please pay the 7th/8th grade fees as outlined below. Co-Chairs of 7th/8th-grade Activities and Promotion are Michelle Janke and Erin Moone. Jenny Ko is the Treasurer. Posted July 16, 2018 by Heather Bogaty. Eighth graders celebrate the end of their grade school experience with a long standing tradition—”Promotion”. This is a big deal at Riverdale Grade School. Their final day of grade school is capped off by a beautiful and touching promotion ceremony on June 5th, 2019. Pay your fee for Promotion by January 25th. 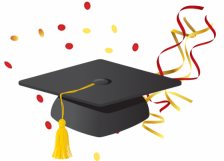 This fee covers the cost of the 8th grade promotion ceremony events and an after-party. The 8th grade brunch is one of the most cherished traditions associated with 8th grade promotion. Each 8th grader and his/her parents are invited to this event held on Sunday, June 2nd at 10:30 a.m. for special recognition, a delicious brunch, and a chance to sign each other’s memory books. There is a cost of $35 per person for the 8th grade student, and each of their parents. There is a limit of 3 per family total, including the student. Click below to purchase. Due to limited space, we can only accommodate 8th graders and their parents. Please, this is NOT an event for siblings or grandparents to attend. If you have any questions about the brunch or who can attend, please contact Michelle Janke or Erin Moone. Posted January 26, 2019 by Heather Bogaty. 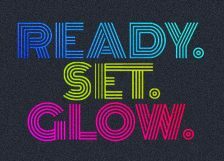 GLOW GLOW GLOW to the Winter Formal Saturday February 9, 2019. 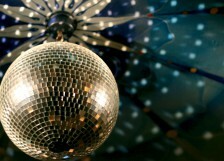 Bus departs Riverdale at 5:00pm for the Evergreen Event Space to enjoy dinner & dancing. Bus returns to Riverdale at 9:30pm. This is a dance for the 7th/8th grades. It is not a date-dance or a Sadie Hawkins-dance. All are welcome to come and have fun. Fee: $35 per student. Click “Read More” to find link. Waiver: Click “Read More” to find link. Several times during the year, school dances are held for 7th and 8th grade students. These are fun, casual dances normally held in the gym of the grade school with a DJ. A nominal entrance fee is charged for the Fall and Field Day dances. Supervision is by an RGS staff person and parent chaperones. These dances are organized by the 7/8 Leadership class. 6th grade is invited to the June Field Day dance. For more information or if you’d like to help, please contact your 7/8 Activity Chairs: Erin Moone (7th) and Michelle Janke (8th). Student Dance Agreement/Waiver and ticket pricing information will be finalized soon.